CrossFit Endurance is an endurance sports training program geared towards improving performance, fitness, and endurance sports potential. It is different from the traditional long-slow distance training by eliminating volume and upping the intensity of the workouts. If you are tired of your same old running routine, don’t have time for 8-hour workouts, or are interested in adding a strength and conditioning program to your training routine, than CrossFit Endurance is for you. The programming is structured, sport-specific, and integrated with CrossFit principles like Olympic lifts, powerlifting, gymnastic movements, explosive activity, and mobility-based support. Repetition is the enemy, and like CrossFit, the workouts are always varied. Power and speed are critical components to success in the endurance world. With careful planning, our strength and conditioning plan increases these two mainstays of performance while decreasing recovery time, reducing injury, promoting preservation of lean tissue and creating a more sustainable performance curve. CrossFit Endurance builds your power and strength and is designed to improve your sport-specific skill. We focus on eliminating unnecessary volume of training while increasing intensity. Long slow duration results in athletes being less powerful, less lean and more prone to injury, low energy and abbreviated sports longevity. We will make you faster. We will make you leaner. We will increase your power. 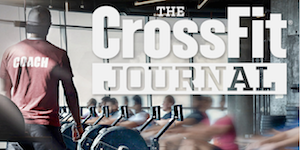 We will follow the CrossFit model while adding precise training protocols for endurance. We will make you lift heavy. We will make your lungs burn. But we will make you happy!